Top to bottom title agency tech. West provides title agencies with a full stack of technology & consulting that include compliance, production software, dashboards, marketing and sales solutions and data security. ResWare is the most cutting edge title production software on the planet. And we’ve built some cool integration. This task based system can automate your entire workflow. Sugar is a complete CRM solution that automates your core sales, customer service and marketing processes. Oh, and we built an integration into the production software Resware. MyHome® is a suite of products and dashboards geared toward helping you close transactions more efficiently and improve your sales and marketing efforts. Our process and systems were nurtured and developed for our sister company, WFG National Title, the #6 title company in the nation. West has developed a full-stack platform that includes compliance, production software, dashboards, marketing and sales solutions and data security. Most of our products can be white labeled for your company’s needs. You can choose to integrate the entire platform or only pieces you need. We want your brand to be out in front and our consultants are experts in the title process and can help you figure out the best use of technology to fit your needs. All of our products and systems were developed from the “bottom up” to account for the complex business and regulatory requirements that surround each transaction. Our sister company WFG National Title wanted to crack open the black box that surrounds the real estate transaction. So we sat down and architected, designed and built a dashboard for its clients. WFG’s MyHome® dashboard presents the first truly open view into the real estate transaction. Consumers will for the first time know exactly where they are in the process in real time and, more importantly, what is coming next and when. 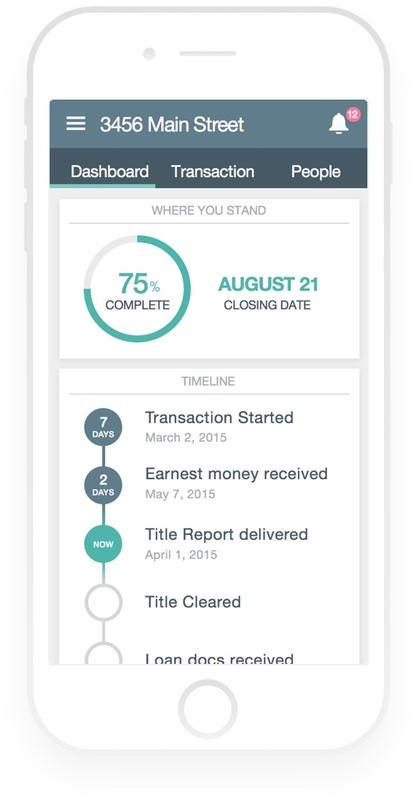 The dashboard launched in WFG’s Oregon markets in July 2015. It will be rolling out to additional markets over the coming months.